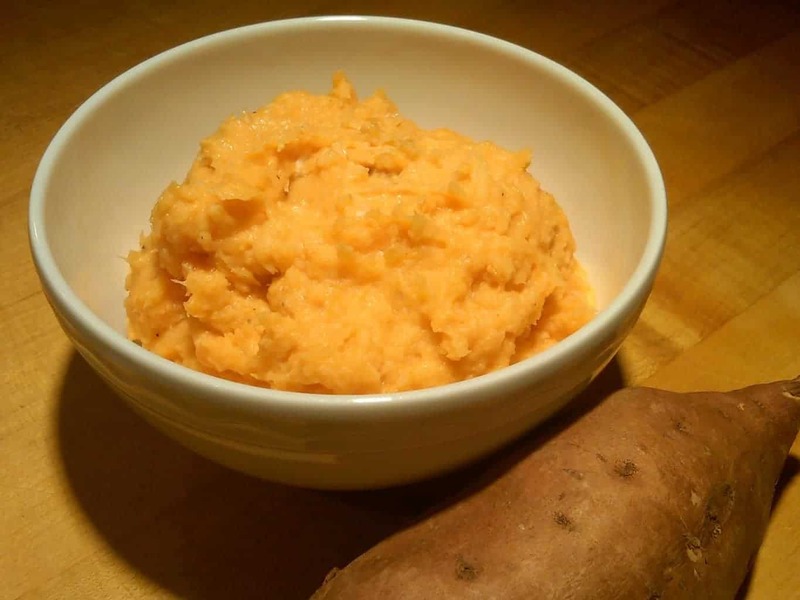 A quick and easy side dish recipe, mashed sweet potatoes get a sweet and smoky kick from honey and chipotle peppers in adobo. I don’t know about your family but all three of the guys in my house ADORE potatoes in any shape or form. They love them roasted, baked into fries, shredded and shaped into pancakes, turned into hash… you name it. We even love grilling them in the summer! Whenever we are in need of a little extra happiness, I know mashed potatoes are the answer. 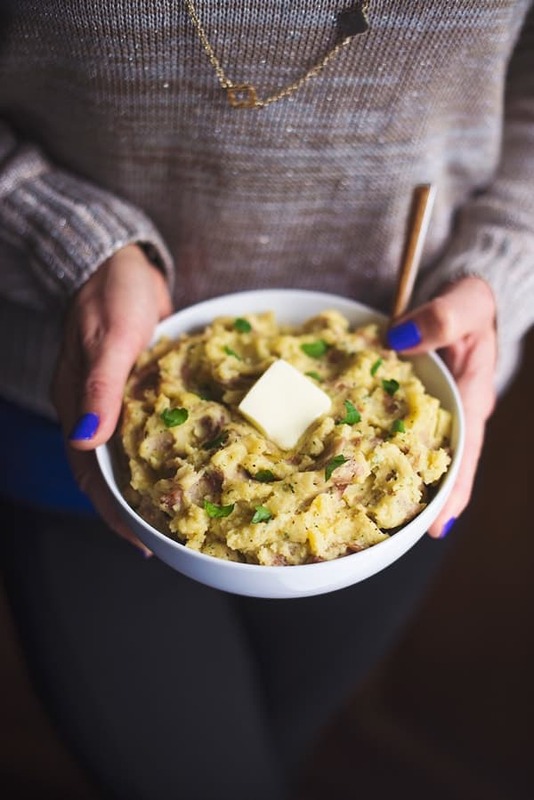 They’re probably my husband’s ultimate comfort food and I know any time mashed potatoes are on the menu they will be a hit. Of course, you know me. I couldn’t resist giving them a little kick. 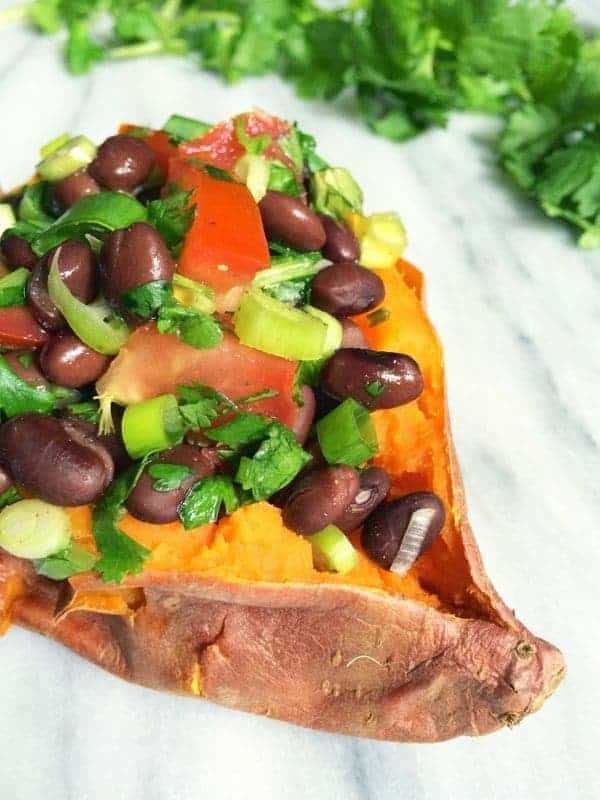 Chipotle peppers with adobo provide the perfect subtle smokiness and balance to the naturally sweet and creamy sweet potatoes. To keep the dish mild, simply remove the seeds before mincing the chipotle peppers. Like things on the spicier side? Leave the seeds. 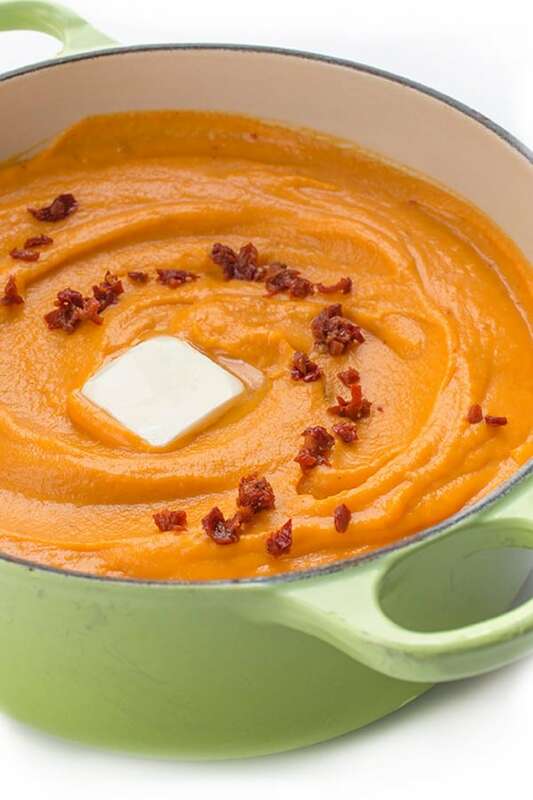 Whatever you decide, your family will love this sweet and smoky mashed sweet potatoes dish. 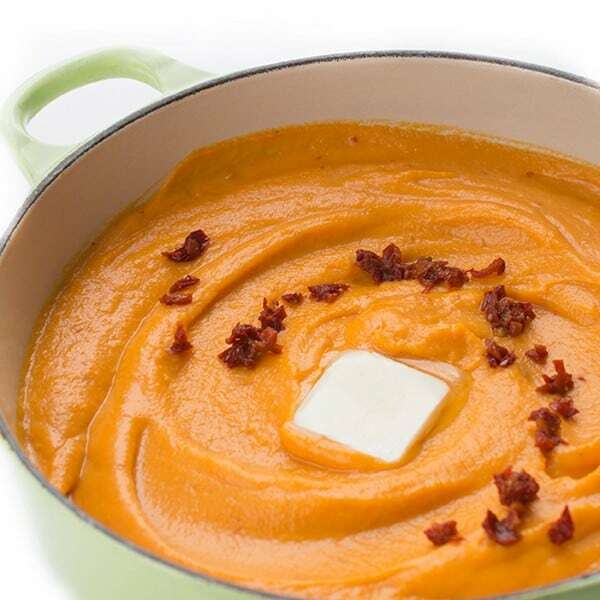 Place sweet potatoes in a large pot and cover with cold water. Bring to a boil then simmer until potatoes are fork tender, about 8-10 minutes; strain. Place warm, cooked potatoes back in the same pot and add all remaining ingredients. 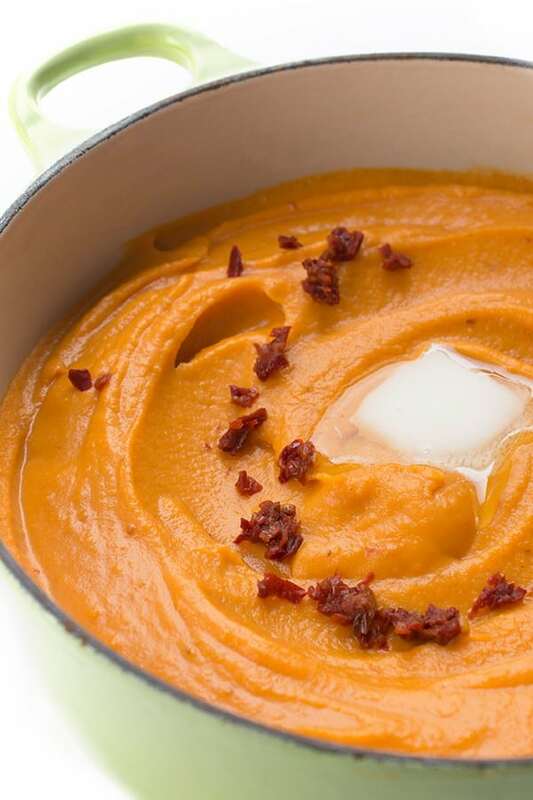 Puree until smooth using an immersion blender. Alternatively, place in a food processor and pulse until smooth or use a potato masher for a chunkier result. Check for seasoning and adjust accordingly before serving. 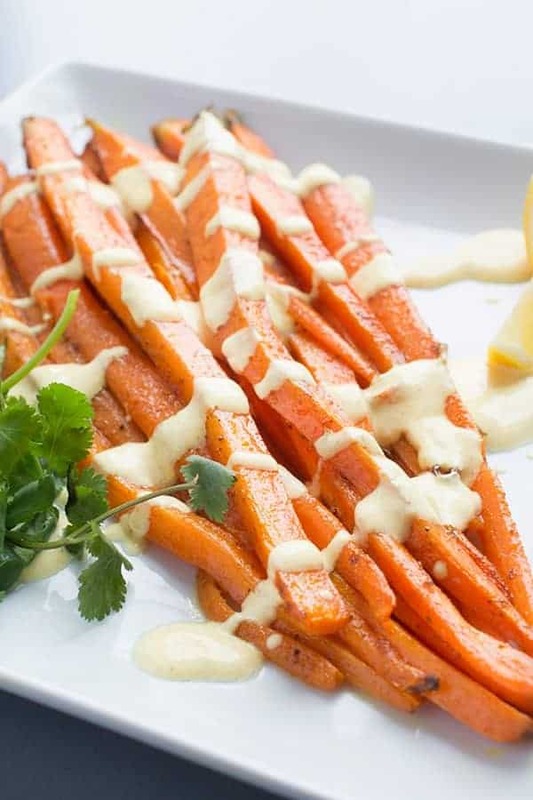 For more healthy sides, visit Pinterest! Also, check out these other great sites! 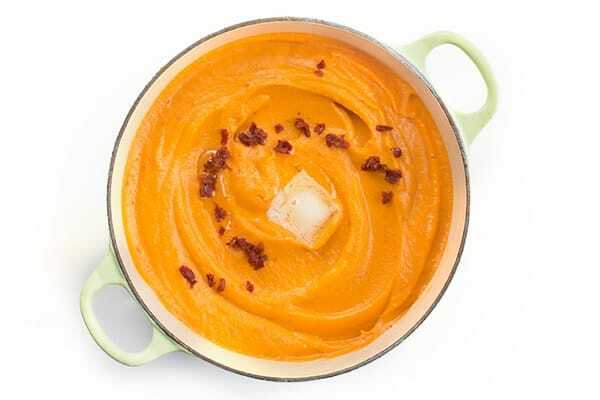 I used an immersion blender – they really are the best!! You had me at honey chipotle…these look fantastic Liz! Especially that pad of butter slowly melting into the potatoes, OMG YES. 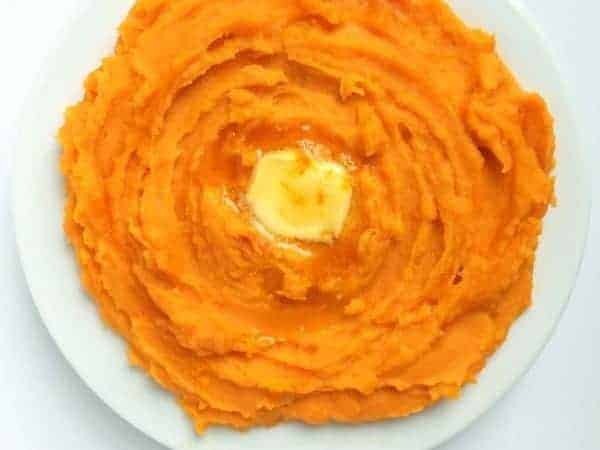 I’m surprised I haven’t turned orange with how many sweet potatoes I consume. hahah I am a sucker for anything chipotle! !